I didn't realize this but on average, Americans spend about 10 hours a day in front of a computer or other electronic device and less than 30 minutes a day outdoors. Man we are really missing out! I love the outdoors and camping is a great way to enjoy it. 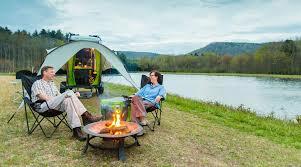 Please check out this article about how camping is good for the brain. It is important to give the brain a rest and being in nature, helps refresh a brain that is tired from too much technology. As we age the brain requires even more rest. Please take the time to read this article and also please get out and enjoy the great outdoors by going camping.I would love to hear all about your adventures.